The Bush budget report delivered on February 4 was wrapped in a flag, literally and figuratively. Physically, the document's cover is a red, white, and blue representation of the American flag. Rhetorically, the Bush administration is trying to use the war on terrorism to stifle criticism of the fiscal debacle it has created. As Paul Krugman pointed out recently, while the war on terrorism is "emotionally, morally, ... indeed a big deal; ... fiscally it's very nearly a rounding error." The administration cites the war on terrorism as a justification for a huge military buildup, but it's apparently not important enough to justify reconsidering future tax cuts. In fact, the administration proposes another $600 billion in tax cuts. And for all the discussion of the need to defend against "asymmetric threats" -- low-tech methods used to attack a high-tech adversary -- the proposed defense buildup includes $15 billion for 70-ton artillery weapons manufactured by a subsidiary of the Carlyle Group -- virtually a Bush family enterprise. The budget also calls for investing in three different types of fighter aircraft; according to the New York Times, prior to September 11, even administration officials agreed this was too many. 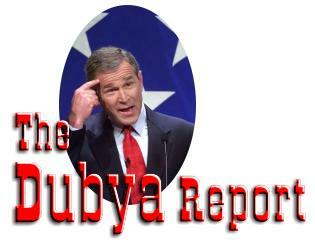 The inconsistency between rhetoric and reality pervades the Bush budget, as it does the administration. Despite talk of hard choices and sacrifice, the administration apparently does not want to make any choices at all when it comes to defense spending, nor will sacrifice be called for from the wealthiest Americans, many of whom are Bush contributors. The wealthiest will not only receive most of the money from tax cuts already enacted, they will receive most of the additional $600 billion (which is really more like $1 trillion when properly accounted for) of the newly proposed tax cuts. The gap between rhetoric and reality can be seen in large and small ways. Shortly after September 11, Bush made a personal promise that New York city would receive $20 billion in reconstruction aid. But only $11 billion was actually budgeted. Despite the patriotic trappings, the $2.1 trillion budget proposal includes no additional aid for New York. New York legislators demanded that budget director Mitch Daniels explain the inconsistency. His initial response was that the $5 billion victim relief fund counted toward the promised $20 billion -- which was completely inconsistent with the original understanding. Then he criticized New York's congressional delegation, saying "It's strange to me to treat this as a little money-grubbing game." The White House tried to spin the remarks, which Mr. Daniels eventually withdrew. Dubya repeated his promise in another photo-op with NYC policemen and firefighters, but the money has still not been budgeted. The broken promise to New York has puzzled observers. With a budget in deficit for the indefinite future, it would seem that an additional $9 billion for one year would avoid the accusation of broken promises, and continue to capitalize on the patriotic fallout from the terrorist attack on New York. One possibly explanation, as we've reported elsewhere in The Dubya Report is that key right-wing members of congress, like Senator Phil Gramm of Texas (husband of Enron board member Wendy Gramm) and Senator Don Nickles of Oklahoma, just dislike New York. Perhaps a more likely possibility is that the administration feels that between Bush's high personal approval ratings, and the availability of the war on terrorism as an excuse, promises simply don't matter. Senator Kent Conrad of North Dakota compared the administration's misleading accounting practices to those employed by the recently bankrupt source of Republican campaign contributions, Enron corporation. In might have been more accurate to suggest that last year's budget used accounting gimmicks similar to Enron's "mark-to-market" scheme. Enron entered into contracts which might produce a profit over time, but they accounted for the hypothetical future profit on current financial statements. These imaginary numbers were then used to justify high stock prices, executive compensation, etc. The Bush 2002 budget used an unrealistic projected surplus to justify a huge tax cut. At the time many economists assailed the assumptions as unrealistic. The Economist agrees with Senator Conrad that the administration may be repeating the same errors. With its usual understatement The Economist suggests "there are several reasons to think the president is being unduly optimistic about future surpluses." His own Treasury Secretary acknowledged that even short term budget forecasts are unreliable. The budget proposal assumes a nearly 4% growth next year, which is far from certain. Slight downward adjustments to these growth forecasts "can have a big impact on the public finances." As The Economist's succinct analysis shows, Bush plans a 14% increase in defense spending -- the largest in 20 years, wants to make last year's tax cuts permanent, and still expects a return to surpluses within two years. The Economist, not usually considered part of the so-called "liberal media," termed the Bush budget "almost Reaganesque." Like Bush's "evildoers" Reagan had his "evil empire" and increased defense spending substantially. Like Bush, Reagan was also committed to cutting taxes. The result then was what is the predicted result now: "huge increases in the federal government’s budget deficits which took a decade and a half to bring under control." One irony is that for all his talk of "accountability" in nonfinancial areas, Bush seems oblivious to it's most concrete application to his administration. Now that last year's invalid assumptions are blatantly evident, the administration is trying to use other accounting gimmicks to avoid accountability for the fiscal disaster they've created. One trick is to try to blame their bad management on unpredictable events. We are supposed to ignore the disappearance of the $4 trillion surplus because now there's a war on terrorism. Despite the administrations's attempts at obfuscation, four separate budget projections for the next decade -- one each by the Democratic and Republican staffs in the House and Senate -- reduce earlier surplus estimates by about two thirds, and attribute 45% of that to last year's tax cut. The January report by the nonpartisan Congressional Budget Office drew a similar conclusion. CBO's projection of the cumulative surplus for 2002 through 2011 has plunged by $4 trillion in just one year.... Some $2.4 trillion of that drop can be attributed to legislative actions. The legislation with the largest effect was the Economic Growth and Tax Relief Reconciliation Act of 2001, enacted in June. That law is estimated to reduce surpluses by nearly $1.3 trillion over 10 years (not including associated debt-service costs). The Center on Budget and Policy Priorities has identified other accounting fictions that are being used to hide hundreds of billions of dollars in costs. The budget includes the implausible assumption that the number of taxpayers subject to the Alternative Minimum Tax (AMT) will grow from 1.4 million in 2001 to 39 million by 2012. The budget also assumes that a number of popular tax credits will expire in two years. Most observers believe neither of these assumptions is possible politically. The CBPP also asserts that the costs of making last year's tax cuts permanent, and of the many new proposed cuts, have been severely underestimated. The cost of administration tax cuts in the second decade of this century, when they have been fully phased in, would be between $4 and $5 trillion between 2012 and 2022. These costs would appear at the same time that large numbers of baby boomers reach retirement age, driving up Medicare and Social Security costs. the administration actually intends to deny medical care to retirees, or is simply trying to hide the sheer scale of the looming fiscal disaster." The budget also assumes reduced levels of spending for non-defense discretionary spending every year after 2003, but does not include any specific reductions to achieve these levels. Writing in the Boston Globe, Robert Kuttner termed Bush's description of his economic plan during the State of the Union Address "bait and switch." ... my economic security plan can be summed up in one word: jobs. The budget calls for cuts in several job training programs, including cutting "youth opportunity grants" from $225 million to $45 million. The United States Conference of Mayors protested the move saying the cut would hurt some of the poorest communities in America, including parts of Detroit, Houston, Los Angeles and Philadelphia. The White House seeks "10 percent reduction in assistance to dislocated workers, a 5 percent cut in training for adults and a cut of 11 percent in grants for training school dropouts and other 'economically disadvantaged youths' from 14 to 21." Labor experts expressed surprise at the White House position, given Mr. Bush's support for job programs run with federal money while he was governor of Texas. One such program, Houston Works, which receives $25 million annually in federal money, has assisted more than 1200 of the 4500 workers who have lost their jobs at Enron. The way out of this recession, the way to create jobs, is to grow the economy by encouraging investment in factories and equipment, and by speeding up tax relief so people have more money to spend. For the sake of American workers, let's pass a stimulus package. Corporate tax giveaway. The premise of these tax cuts is that they will encourage companies to build new factories. This is bogus economics. There is not a problem with capacity, there's a problem with demand. As Robert Kuttner suggested recently in the Boston Globe "The so-called stimulus is mainly a deferred political reward to corporate allies who loyally supported Bush's previous cut in high-bracket personal taxes last year. It has little to do with getting us out of this recession, much less with creating jobs." Fortunately the Senate killed the fraudulent stimulus plan, although they may try to pass extensions to unemployment benefits. drugs. The Bush "drug benefit under Medicare" is restricted to elderly people at or near the poverty line: a maximum of $17,000 annual income for a couple. A final draft of the plan is not available, but earlier versions included a $6,000 deductible. The administration's health insurance benefit is a tax credit covering only a portion of a low-end HMO plan, as Kuttner says, "the kind of coverage that denies people medically necessary treatments." And as we've written elsewhere in The Dubya Report, the Bush patients' rights bill is the version supported by the HMO industry, and limits the rights of patients to sue if an HMO wrongfully overrules a doctor's prescribed treatment. The Center on Budget and Policy Priorities has warned that such a tax credit could lead some employers to discontinue health coverage. In addition, a majority of individuals likely to use such a credit would already be insured. Older individuals and those in ill-health might find it difficult to obtain insurance without paying exorbitant premiums. And the tax credit would not make much of a difference for low and middle income families. The administration's proposed Medical Savings Accounts (MSAs) actually jeopardize conventional coverage for individuals and families by driving up premiums. The proposals also eliminate a number of limitations and safeguards on MSAs, making them attractive tax shelters for affluent families. In particular, the administration plan allows funds to be withdrawn from MSAs for non-medical purposes. We need to prepare our children to read and succeed in school with improved Head Start and early childhood development programs. The administration opposes increased funding for daycare, pre-kindergarten and childhood enrichment programs. it would save $570 million over 10 years. The operation of teaching hospitals is a major industry in New York City. "It's hard to describe taking money from financially strapped hospitals as an improvement,"Kenneth E. Raske, president of the Greater New York Hospital Association, responded. The budget also includes a 30% cut in federal funds for training doctors at children's hospitals. Last year's budget included the same cut, but Congress rejected it. The program was created in 1999 to provide additional support for medical training at children's hospitals, which receive limited Medicare funds because they do not serve elderly patients. Other proposed cuts are dressed in misleading language, or seem to beg for congressional opposition. The Bush budget includes $1.7 billion for the Low-Income Home Energy Assistance Program, which is used primarily for heating and cooling costs. There is no acknowledgement that the requested amount represents a 15% cut. Funds for public housing would be cut by 6% under the administration budget. The public housing capital fund would be cut by 14.7%. Local housing officials told the New York Times that the cuts would "impair their ability to repair tens of thousands of dilapidated housing units." The Forest Service budget would be cut by more than 4% under administration proposals. Rep. John M. Spratt Jr., Democrat of South Carolina, commented to the Washington Post, "The economy is Bush's soft underside. His father lost because he had a kind of patrician, 'let them eat cake' attitude. He's sworn not to let the same thing happen to him." Dubya and Poppy both had military successes during their administrations. But Poppy lost popularity when an economy in recession didn't recover in a way that average Americans could experience -- in particular the creation of jobs. David Hale, chief global economist with Zurich Financial Services in Chicago thinks Dubya may face the same dilemma. "There's a real risk that even when growth resumes, it will be extraordinarily modest, much as it was. The administration's economic team has shown little interest in doing much about it; they have not been able to carry the ball." Even conservative observers have raised questions about the Bush economic team. "They're a very big puzzle," William A. Niskanen, chairman of the conservative Cato Institute told the LA Times. During the fall, Treasury Secretary O'Neill apparently contradicted chief economic advisor Lawrence B. Lindsey and R. Glenn Hubbard, chairman of the White House Council of Economic Advisers, concerning administration support for corporate tax cuts. Lindsey, a former Enron consultant, made news recently when the impartiality of his analysis of Enron corporation was called into question. House Appropriations Committee Chairman, Republican C.W. Young of Florida, has reportedly refused to return phone calls from Bush budget director Mitchell Daniels, because of a reportedly "politically abrasive" manner. Supporters of former President Bush are fond of describing the Bush I recession as the mildest since World War II, citing an economy that contracted for three quarters during 20 years of growth. From the point of view of an average citizen, however, a jobless rate that took 15 months longer than the economy at large to recover, and three years to return to pre-recession levels, did not seem mild. Donald H. Straszheim, president of Straszheim Global Advisors in Los Angeles, predicts a similar pattern for this recession. "The recovery is going to be slow and sluggish, not rapid and robust. And so is job growth,&quot he said. Dubya finds himself in a somewhat better situation than his father did: the recession is happening in a congressional rather than a presidential election year, he can use the terrorist attacks and the anthrax scare to deflect criticism of his policies, and the public concern for the recession has not significantly affected his popularity -- yet. That may change. An ABC News poll taken at the end of January reported that 52% of those surveyed would support canceling that tax cut "if doing so helped avoid a deficit in the federal budget." Even if it didn't reduce the deficit, 45% of those surveyed supported dropping the tax cut, compared to 36% who favored keeping it. Writing in the New York Times in October, Laura Tyson, chief economic adviser to former President Clinton called for repealing last year's tax cut to pay for the war on terrorism and help head off the budgetary crisis when baby boomers start to retire. Senator Edward Kennedy recently advocated rolling back the tax cut for families with incomes of more than $130,000 a year. It is a difficult issue for Democrats, since some voted for the $1.35 trillion cut. Bush's recognition of his potential vulnerability was evident in his first major speeches of the new year, which were devoted to what the Washington Post called "combative defense of his economic stewardship, rather than to a self-satisfied review of his anti-terrorism successes." Yet his efforts to distinguish himself from his father may have backfired. Where his father aroused the wrath of the right by promising "no new taxes" and then reneging on the promise, Dubya may be increasingly regarded by the public as "not acting when the economy needs it," the LA Times suggests. Pollster Karlyn M. Bowman of the pro-business American Enterprise Institute admitted, "Bush is not thought of as a real powerhouse on the economy." The $1.35 trillion tax cut, while "very important to his [Republican] base, . . . wasn't anything most Americans thought they were going to see, so it wasn't anything they focused a lot of attention on." Bill McInturff, a partner with the prominent Republican polling firm of Public Opinion Strategies in Alexandria, Va. added, "The economy and jobs issues are up for grabs. We have to do something about the economy and be perceived as doing it." Park, Edwin "Health Insurance Proposals in Administration's Budget Could Weaken The Employer-Based Health Insurance System"
Center on Budget and Policy Priorities. 5 Feb. 2002. Special Report Series: Analyzing the Bush FY'03 Budget from the Center on Budget and Policy Priorities.